I previously blogged about being a researcher for the building history, design and architecture project. (See my last post about it here.) 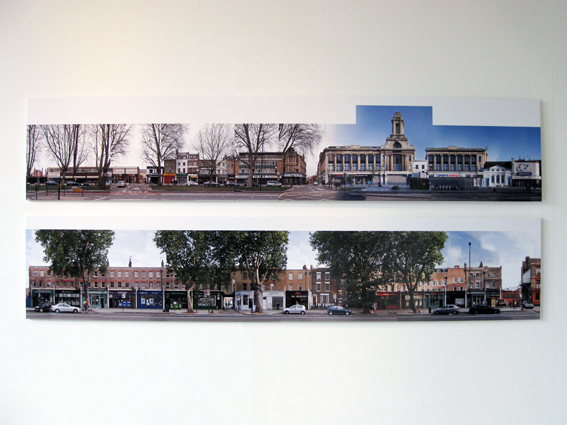 This project can now be seen as a new exhibition called the ‘Panorama High Street East’ showcased in the CASS Gallery in London. 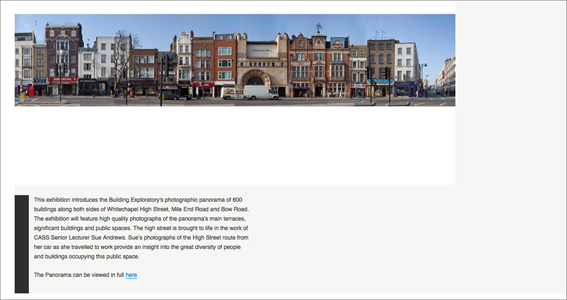 The project is described on the gallery website as: “This exhibition introduces the Building Exploratory’s photographic panorama of 600 buildings along both sides of Whitechapel High Street, Mile End Road and Bow Road. The exhibition will feature high quality photographs of the panorama’s main terraces, significant buildings and public spaces.” The photography of the building’s panorama is taken by Jon Spencer. You can see it from Tuesday 11th March to Friday 22nd March 2013. 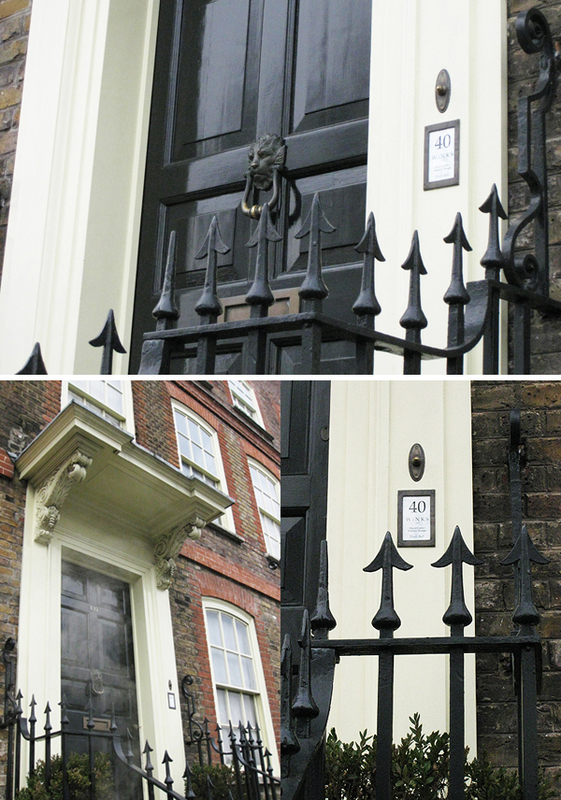 Opening hours are: Tuesday 12th – Friday 22nd March open 12 – 5pm, 7pm on Thursdays, 11-4pm Saturday. 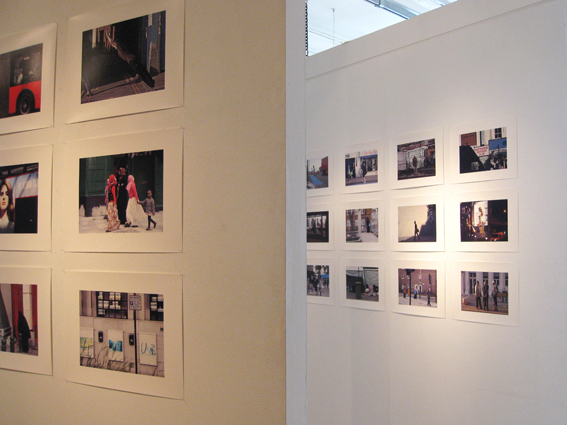 Below are some photos taken of the exhibition. The top photo on the display includes some of the buildings in my section which I researched. (Like the former Wickhams Department store). 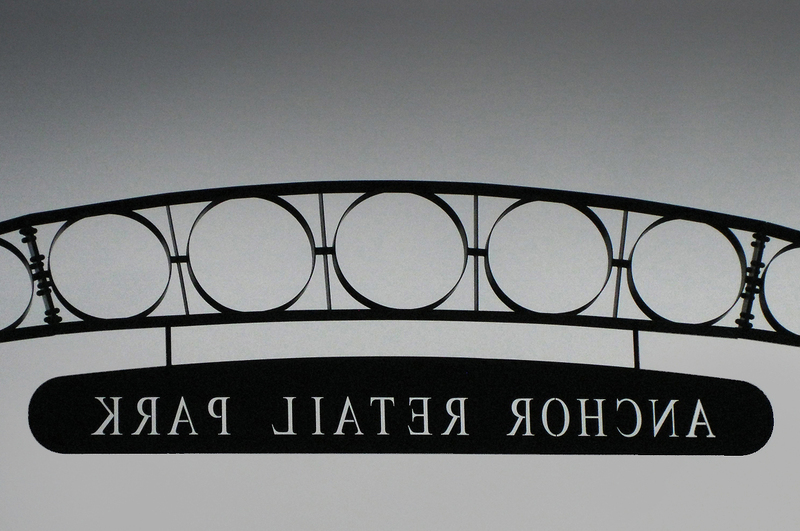 I have previously blogged about the building history, design and architecture research project I have been involved with. Click on the first link to see what the project is about. Well, now I can post the concluding part to this project. One year on from the projects’ first steps, a lot of planning, researching, photographing, writing, hard work and most of the website is now completed. It is looking great! 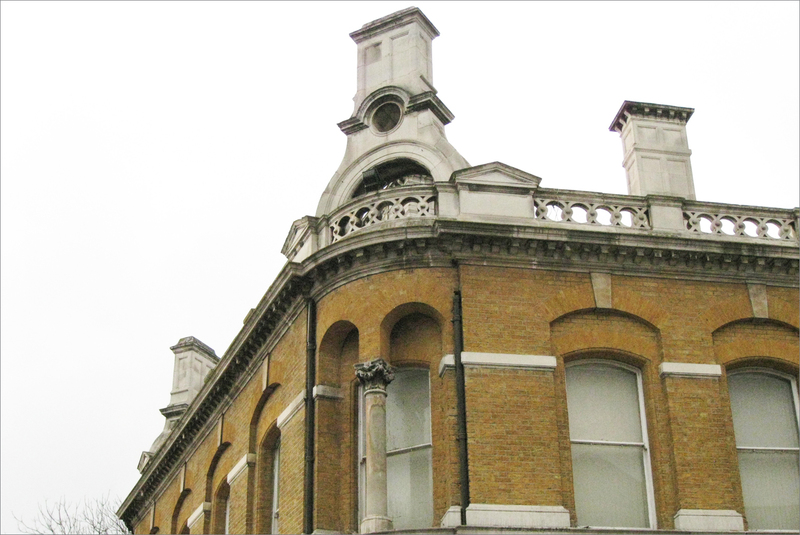 It turns out that a building on the section of Mile End Road I’m researching is a hidden gem. This Queen Anne townhouse is a stylish micro boutique hotel owned and decorated by internationally recognised interior designer David Carter. 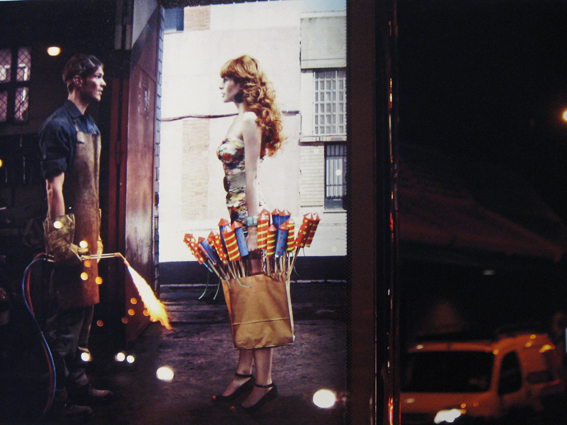 It is also a place where fashion and celebrity photo shoots are taken. Here is some more photos of my assigned research section of the road. It is a gloomy exit out of the Anchor Retail Park. The Adams House pictured below dates back to the Georgian times. It was part of the Anchor brewery. The Tower Hamlets Archives proved to be a valuable place to research. The old maps that ranged from as vast as 1996, 1994, 1989, 1962, 1948 on the smaller maps. And 1938, 1913, 1894, 1873, 1870 for the larger scale maps. The most notable changes is evident in the Anchor Brewery structure. The images collection contains old photographs, postcards and newspaper cuttings. There is even an original sketch of a section of Mile End road.